Minnesota Tonight is a local news show delivering politics, headlines, and legislation content in an entertaining package, not unlike Comedy Central’s The Daily Show. Episodes tape at the Brave New Workshop every month, usually to sold-out audiences, and you can catch them after the fact on their website or their YouTube channel. I recently met up with founder and executive producer Jonathan Gershberg to learn more about this increasingly popular show. Gershberg, who is also the host of Minnesota Tonight, has always been interested in comedy; not only did he grow up watching stand-up comedy, but his dad is a stand-up comedian. While attending Macalester College, Gershberg was a founding member and editor of Humor Magazine and performed stand-up himself. Gershberg hosted Fringe Tonight! at the Minnesota Fringe in 2015 and began production on Minnesota Tonight in October of that same year. The show, which originally premiered in front of a small audience at the Public Access Studios in Minneapolis, has grown to approximately 25 volunteers, including talent, camera operators, editors, production team, and writers. I asked Gershberg what the motivation was behind starting this type of show and what the process was to prepare for the next taping, and he explained that he liked the feel of The Daily Show and wanted to do something where he could relate directly with the audience. 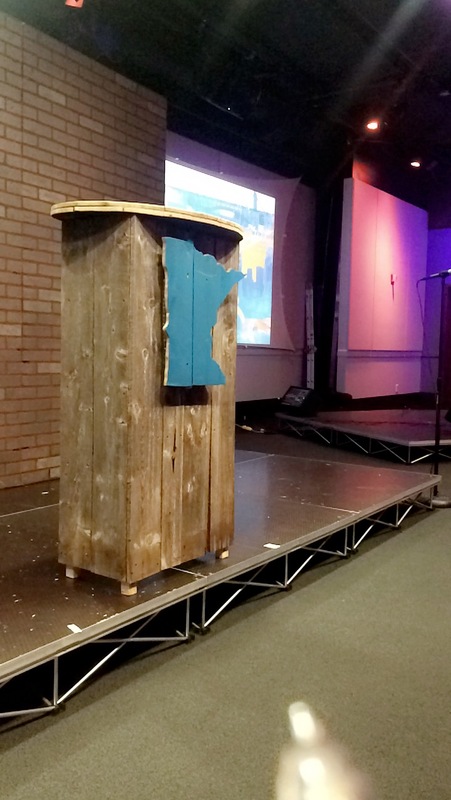 Specifically, he wanted to present current issues that affect Minnesotans directly and content they could relate to while delivering it in an entertaining manner. Although staff members are all volunteers, they put in a number of preparation hours between monthly shows. Each production consists of 11 distinct segments, including the opening monologue, a special guest, and a musical performance. Gershberg is proud of what he and his team have been able to accomplish on a monthly basis. I attended the February show with my theater review partner, Haley Mae, who noted that the actors were smooth and funny in their delivery, including the entertaining “on location” clips, and that the set was well constructed. My personal favorite part was when the presenters announced new laws and then made fun of them. Overall, the show was both informative and very entertaining, and the topics were of those that I could really relate to. Minnesota Tonight tapes on the fourth Wednesday of every month; the next show is March 22. For more information and future show times, visit their website, Facebook page, or Twitter feed.